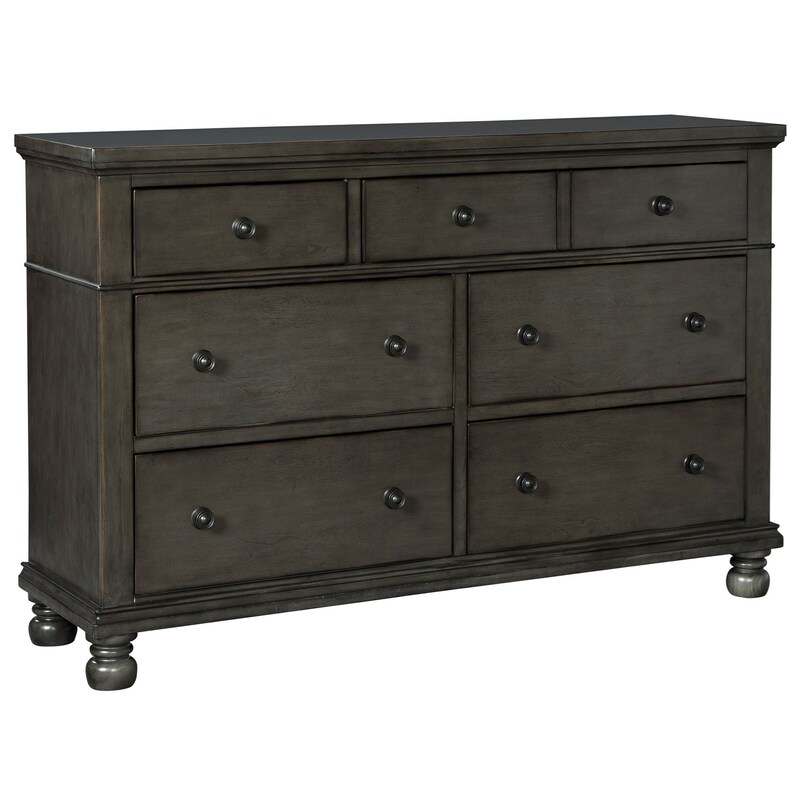 Let this seven drawer dresser's transitional style complete your bedroom with an extra touch of relaxed and classic style. 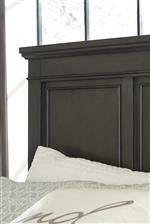 Turned bun feet and overhung tops bring timeless appeal to this transitional piece. While details such as the dark grey finish and burnished edges work together to update this dresser, ensuring it perfectly blends with your modern home. 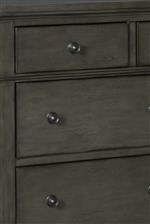 The Devensted Transitional Seven Drawer Dresser with Grey Finish by Benchcraft at Miskelly Furniture in the Jackson, Pearl, Madison, Ridgeland, Flowood Mississippi area. Product availability may vary. Contact us for the most current availability on this product.